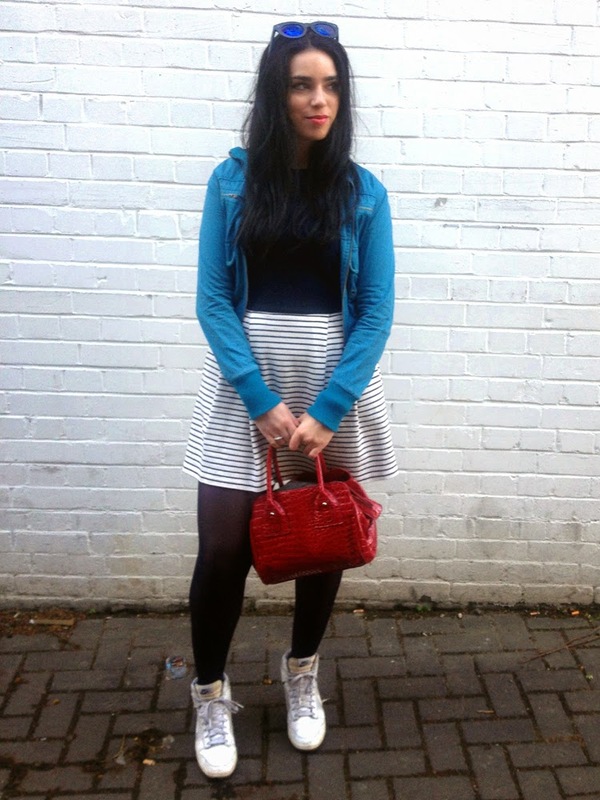 Here's what I wore to the Boat Race last month: a nautical breton stripe and navy dress from Petit Bateau, comfortable Nike trainer wedges for walking up and down the Thames to find a good spot, my cheap and cheerful Topshop shades, old blue H&M jacket I loved so much as a teenager I bought it in three colours, patent croc M&S bag and matching red lips. I figured wearing both Cambridge and Oxford shades of blue was nice and neutral. It was a lovely Saturday out in Putney: blustery along the river but bright April sunshine, seeing the women at the same time complete the same distance for the first year (go girls!) and bottles of cider. There's nothing quite like those first few spring weekends in London.